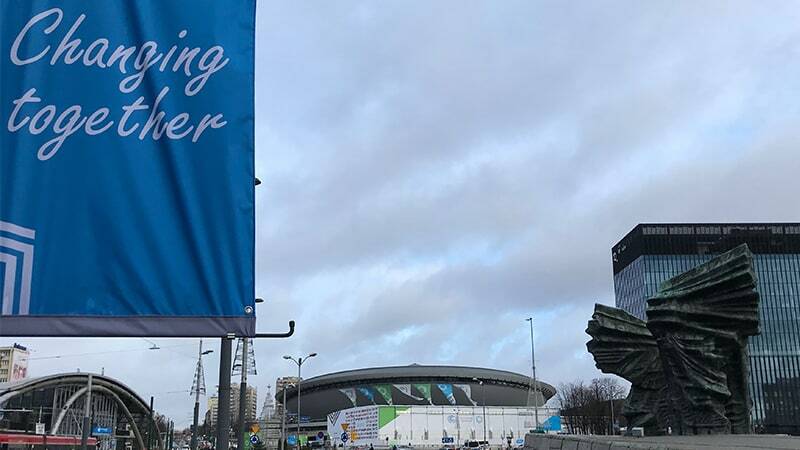 Sympatex - Milestone for climate change at COP24 - Your partner for innovative functional textiles. 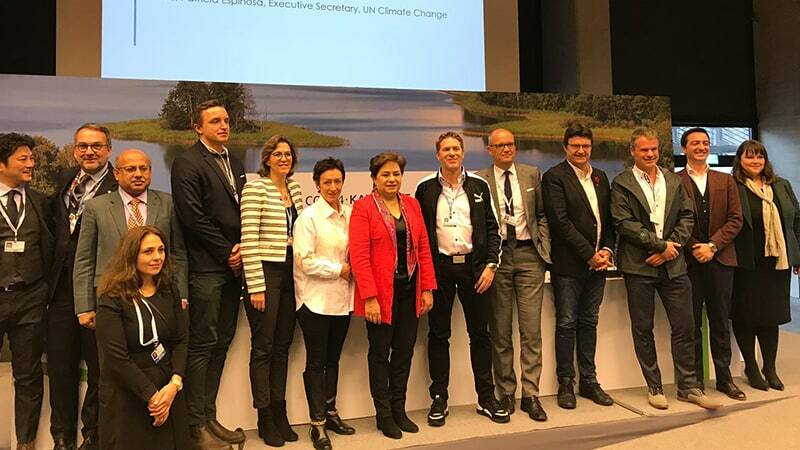 Munich / Katowice, December 11, 2018 – Yesterday, the UN “Fashion Industry Charter for Climate Action” was officially presented to the global public for the first time. 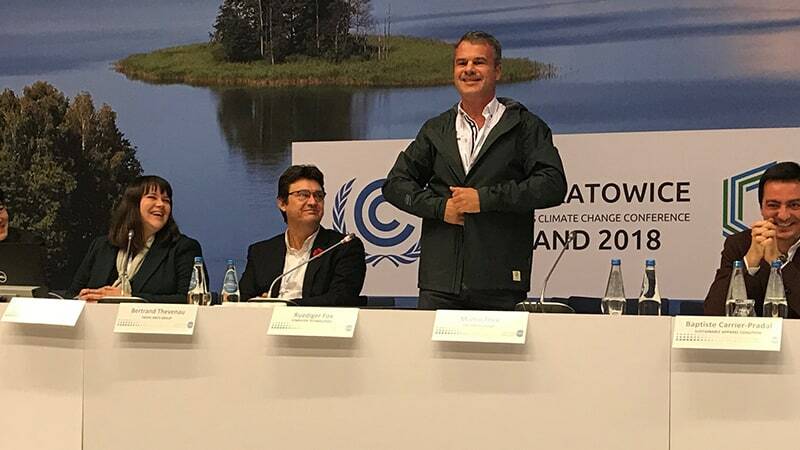 The charter represents a milestone for climate change in light of the fact that the textile industry is the world’s second largest polluter – right after the oil industry – and is currently responsible for 8 percent* of the world’s CO2 emissions. Sympatex, a pioneer in the area of sustainable functional textiles, is not only a signatory, but also actively participated in the development of the charter. The stated goal is to continuously reduce harmful greenhouse gases along the entire textile value chain and achieve net zero emissions by 2050. As a first step, the signatories agreed to a 30 percent reduction by 2030. Plans are in place to define specific individual measures and create a working group. Apart from Sympatex, the signatories include Puma SE, adidas, Mammut Sports Group AG, Hugo Boss, H&M Group, Schoeller Textiles AG, Pidigi S.P.A. and fashion designer Stella McCartney, in addition to key NGOs involved in the promotion of sustainability in the textile industry such as the Sustainable Apparel Coalition (SAC), Textile Exchange and ZDHC (Zero Discharge of Hazardous Chemicals). In addition to the reduction goals, the charter includes individual measures and concrete recommendations for action. These include the selection of climate-friendly materials as early as the design process, monitoring and reporting on the effects of raw materials on the climate, disclosure of the preferred raw materials and respective energy sources, as well as the goal of being able to return the materials to a value-retaining circular economy after they are used. Data from the SAC HIGG Index clearly shows that the better part of the harmful greenhouse gases cannot be reduced through the often necessary transport of the textiles around the globe, rather through the careful selection of the materials. 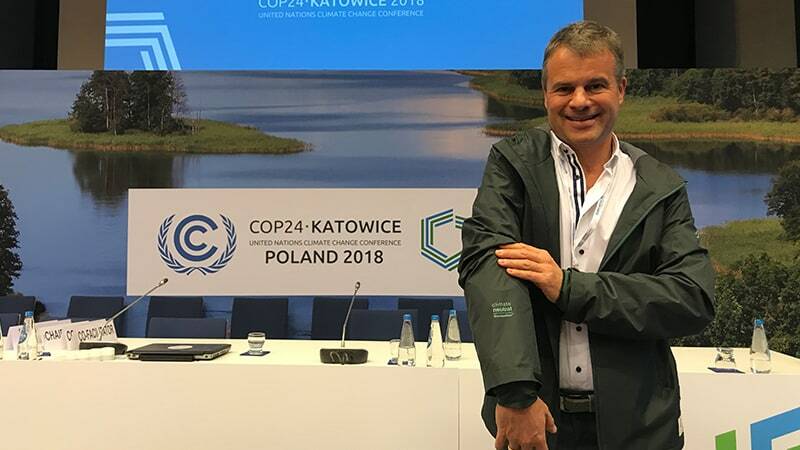 In the case of functional textiles for instance, merely relying on Sympatex polyester membranes instead of still-popular PTFE membranes can reduce total CO2 emissions by more than 50 percent during the production of a functional jacket. With gloves, the number can even exceed 60 percent and with functional shoes up to 15 percent.